US President Donald Trump is using economic warfare to pursue his foreign policy objectives. In August 2018, his administration announced that it would double tariffs on steel and aluminium imports from Turkey in order to pressure the Turkish authorities to release an American pastor detained for two years on espionage charges. At the beginning of December, the US also ratcheted up unilateral sanctions against Iran. The euro is the world’s second-largest reserve currency, but it still lags far behind the US dollar. Two thirds of all loans issued by local banks in foreign currencies are denominated in dollars, compared with just 20 percent in euros. Similar proportions apply to global foreign exchange reserves. European Commission President Jean-Claude Juncker is eager to change this. 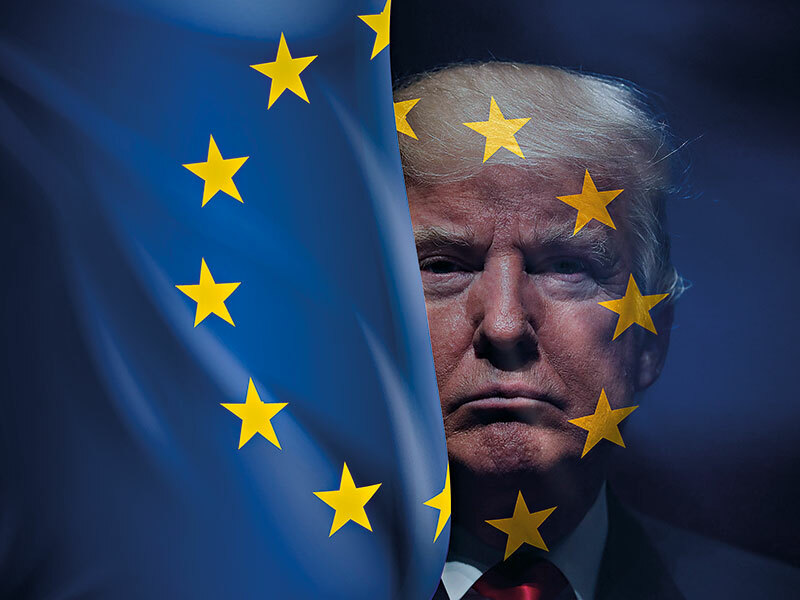 In September, he declared it “absurd” that “Europe pays for 80 percent of its energy import bill – worth €300bn a year – in US dollars”, even though only about two percent of the EU’s energy imports come from the US. He then called for the euro to become “the instrument of a new, more sovereign Europe” and promised to “present initiatives to strengthen the international role of the euro”. Juncker is not alone among European leaders in recognising how powerful a tool the single currency can be when it comes to projecting power: German Foreign Minister Heiko Maas has proposed that the European Union establish its own international payments system. That means that, in the event of a crisis, the European Central Bank (ECB) would have to take action, much as the US Federal Reserve has done in the past. During the 2008 global financial crisis, the Fed served as de facto global lender of last resort, agreeing to unsecured swap lines not only with reserve-currency central banks like the ECB and the Swiss National Bank but also with emerging economies like Mexico and Brazil. The goal was to stabilise the global economy, but the liquidity also helped to prevent domestic disturbances from foreign sales of dollar assets and to stop foreign banks from scrambling to buy dollars. The ECB adopted a much more restrictive approach. In late 2008, it began to provide euros to the central banks of Hungary, Latvia and Poland but required them to put up euro-denominated securities as collateral. The ECB wanted to guard its balance sheet against unsecured exposure to the Hungarian forint or Polish złoty. But these countries held too few eligible securities to obtain enough euros under the ECB’s initial terms. It took another year for the ECB, under pressure from Austria and other countries, to establish proper swap lines against foreign-currency collateral with the Hungarian and Polish central banks. Even now, the ECB will provide euro liquidity only to countries considered systemically relevant for the eurozone. This risk-averse approach contrasts with that of the Fed and, more tellingly, with that of the People’s Bank of China, which in recent years has established an extensive network of swap lines to promote the renminbi’s use in trade and thus its standing as an international currency. Eventually, the ECB did resolve to do “whatever it takes” to save the euro. But if European leaders want to advance Juncker’s vision of strengthening EU sovereignty by boosting the euro’s international role, they cannot rely on the ECB to repeat that approach without proper institutional support. Instead, eurozone leaders should complete the reforms of the currency union’s architecture and provide a political counterpart to the ECB that would support centralised monetary policy. This is the best initial response to Trump’s economic attacks. Anything else would be putting the cart before the horse – yet again.